Highlands Latin Nashville is a classical, Christian tutorial for homeschoolers in the Nashville area. 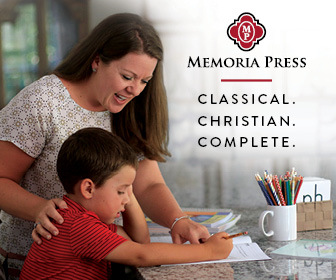 HLN is a Memoria Press curriculum-centric tutorial that follows the model of Highlands Latin School in Louisville, KY. HLN meets in East Nashville at Nashville First Church of the Nazarene on Mondays and Thursdays. Our Mission: In partnership with parents, and guided by the Gospel, we seek to educate students to the highest standards of the classical tradition, so that they may grow in knowledge, wisdom, and the love of Our Lord, and more ably use their gifts in the service of others, and for the glory of Christ and his Church. Enrollment is open! Click here to begin your application. Third Annual Spring Picnic & Funeral Games, Sunday afternoon, April 28th. Click here for more details and to let us know you are coming. Support HLN by using our affiliate code “HighlandsLatinNashville” when purchasing books and materials from Memoria Press. Simply enter our code in the coupon box at checkout. To join the 2018-2019 Enrolled Families Remind Text Notification text @hlnfamily to 81010. Memoria Press’ Sodalitas Gathering 2019 registration is open! We hope you can join us July 8-9 in Louisville, KY for this homeschooling-specific classical education training. This is an time to connect with other HLN parents as well as MP parents from across the country. Plenary talk titles, breakout sessions, and schedule are listed on the registration site for you to review.